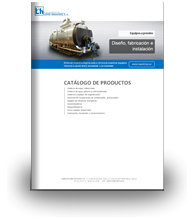 Fire-tube Steam Generator GVL-H - López Hermanos, S.A. 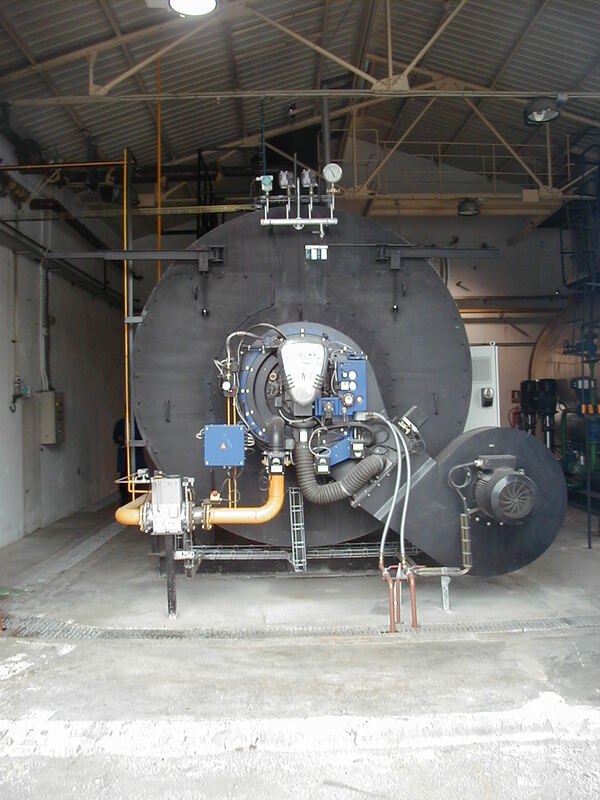 The GVL-H Instanvap is a horizontal, three-pass fire tube steam generator with a central, interior furnace to ensure maximum heating efficiency. 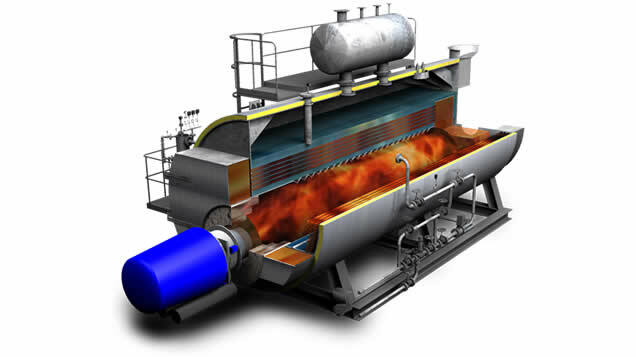 Combustion occurs and is completed inside the furnace which is completely surrounded and cooled by water. 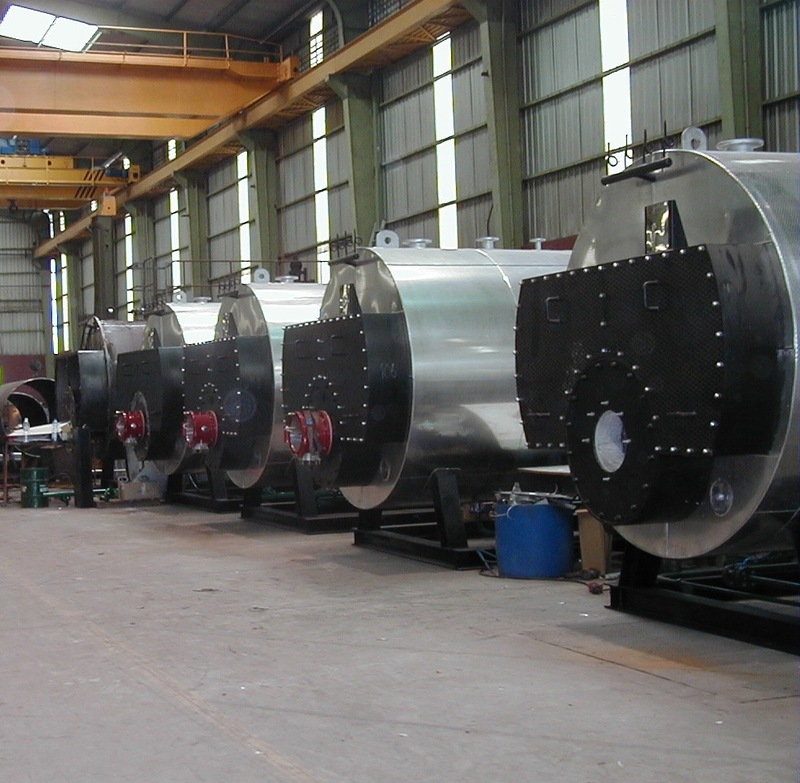 Flue gases then flow through the tubes to the front chamber forming the second pass. 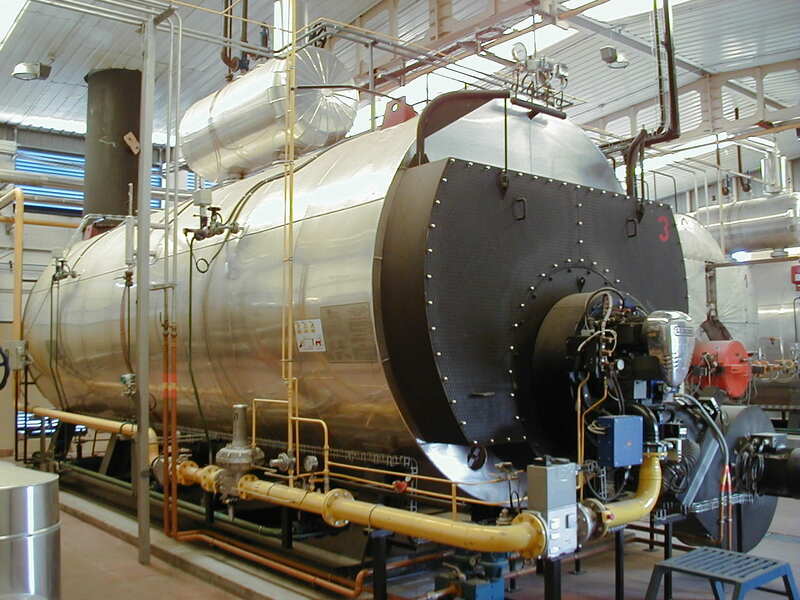 For the third pass flue gases are reversed through tubes to the back chamber to make the very most of the heat and finally they are vented into the atmosphere via the smokestack. 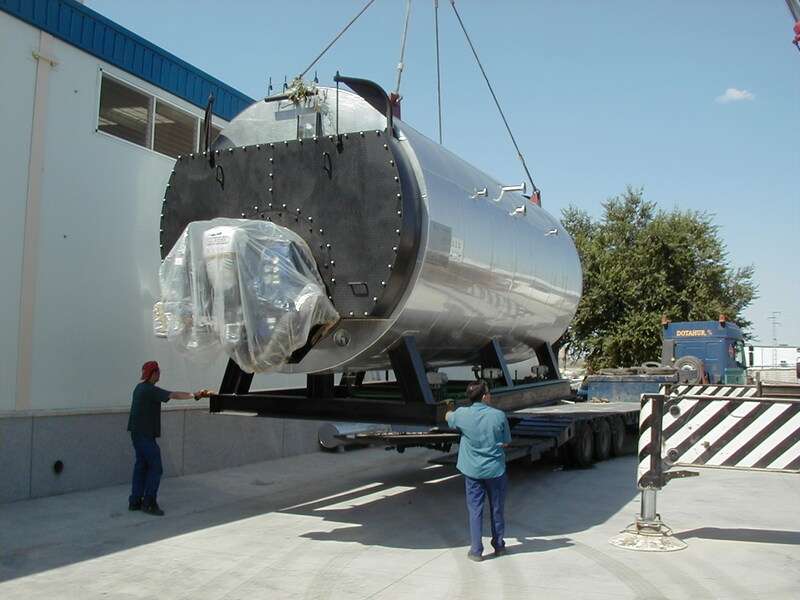 The generator has a wet chamber completely surrounded and cooled by water. 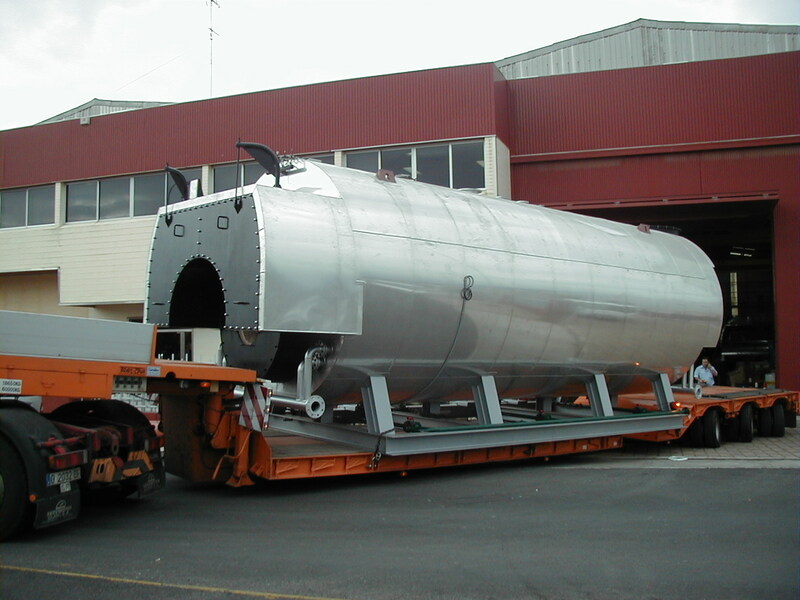 Fire-proof materials are not required on the back, resulting in higher performance and lower costs and maintenance. There is an inspection opening and gas handhole to the rear that opens automatically in the event of excess pressure in the furnace because it is designed as an escape valve if gas builds up inside the furnace. 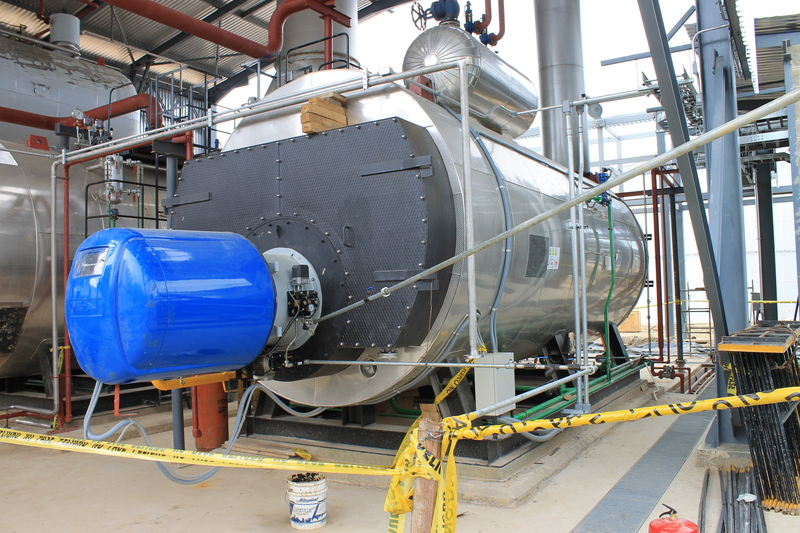 This mechanism increases the generator passive safety and also allows easy access for the combustion chamber inspections and maintenance cleanings. There is a manhole at the top and inspection hatches on the front and back to enable the inspections and cleaning tasks necessary to keep the inside of the generator in good condition. The front and back of the generator are fitted with hatches allowing access to the flues. They are fastened by screws designed to prevent them from seizing up due to the temperature. Once they are removed, the hatches are held in place by revolving hinges that make inspections and any necessary cleaning quick and easy. 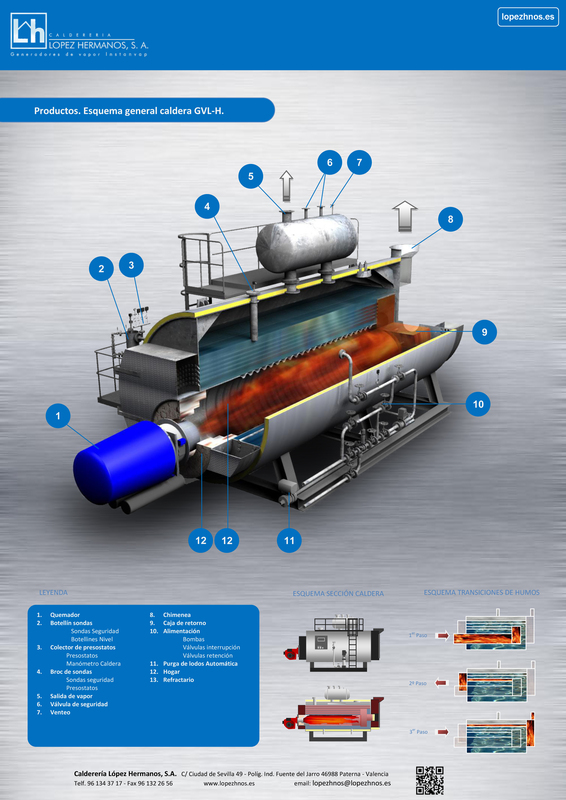 The Fire-tube Steam Generator “GVL-H” is a robust, compact steam generator supplied as a single package mounted on a solid bedplate for fast assembly and start-up.